Our instructors are passionate about teaching the art of Matsubayashi-Ryu karate-do, after have many years of hard training and guidance from The World Matsubayashi-Ryu Karate-Do Association and the Defender’s School of Karate. We are committed to sharing our art with your family by embracing the challenges and joys that come with becoming a black belt. We understand the responsibility that comes with it. Many years have passed and many of our young energetic students have gone off to lead very productive lives. To us that is the meaning of a true black belt instructor. Call (919) 787-2250 to begin your journey with Fighting Tiger Family Karate today! We serve all of Wake County and beyond, and are conveniently located on 6701 Glenwood Ave., Suite 103, Raleigh, NC 27612. Our instructors also have various education and experience as Certified Personal Trainers. We combine our love for life with karate and fitness to help others understand the importance of a healthy lifestyle. In addition, to youth and adult karate training we offer one-on-one personal training and group fitness classes. Our program started in Raleigh, NC in 2003. 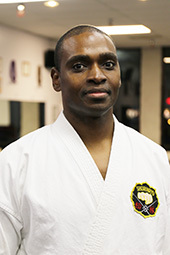 We started teaching The Shorin-Ryu Karate-do style of karate at several community centers through the Raleigh Parks and Recreation Department. If you are considering karate as a way to get in shape for you and your family or if you would like to join our elite black belt club, give us a call! All instructors are Certified Black Belts through The World Matsubayashi-Ryu Karate-Do Association in Okinawa. Our dojo is affiliated with the Dragon Society International.